Some tourism advertisements capture a place perfectly – as intended, the ad makes you want to stop what you’re doing immediately and call the travel agent. 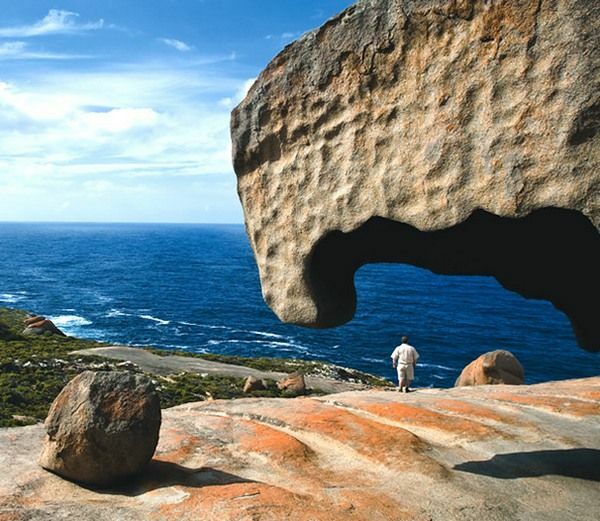 Have you seen the South Australian Tourism Commission’s advertisement for Kangaroo Island? It’s stunning. 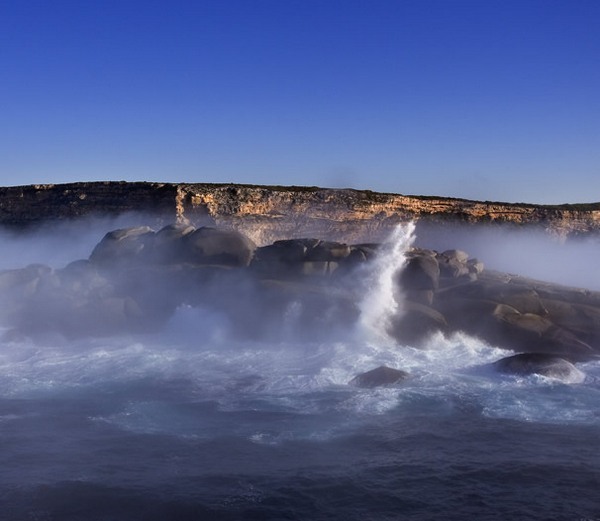 Fringed by the dramatic Southern Ocean, rocky headlands, sheer limestone cliffs and stretches of pure-white sandy beaches, Kangaroo Island also boasts some of the most spectacular coastal scenery in Australia. 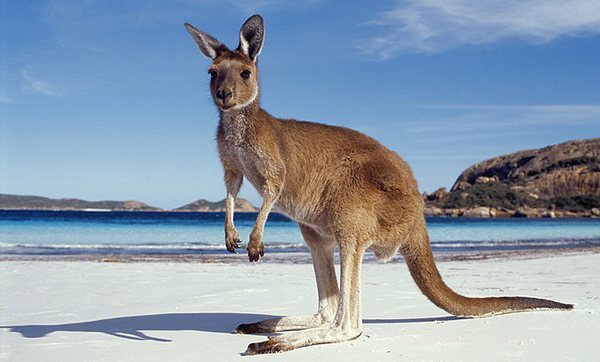 Dubbed the ‘Australian Galapagos’, Kangaroo Island is home to an abundance of native wildlife. More than a third of the island’s four thousand five hundred square kilometres is reserved as Conservation or National Park, providing sanctuary to New Zealand fur seals, koalas, kangaroos, Australian sea lions, ospreys, echidnas and more. 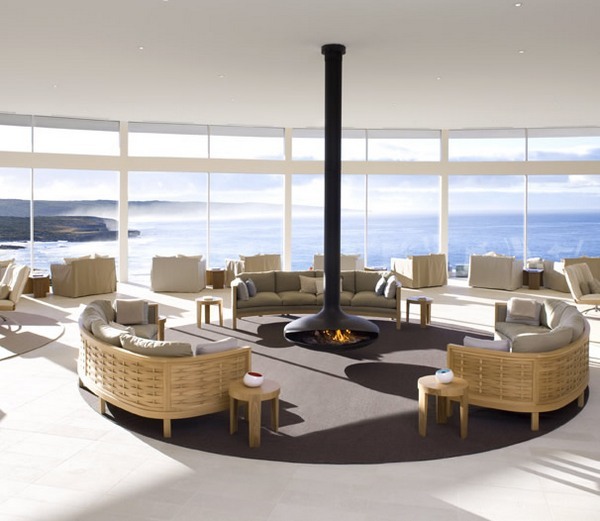 If all of that is not enough to whet your appetite for a visit to Kangaroo Island, a quick peek at the seriously impressive Southern Ocean Lodge will be. 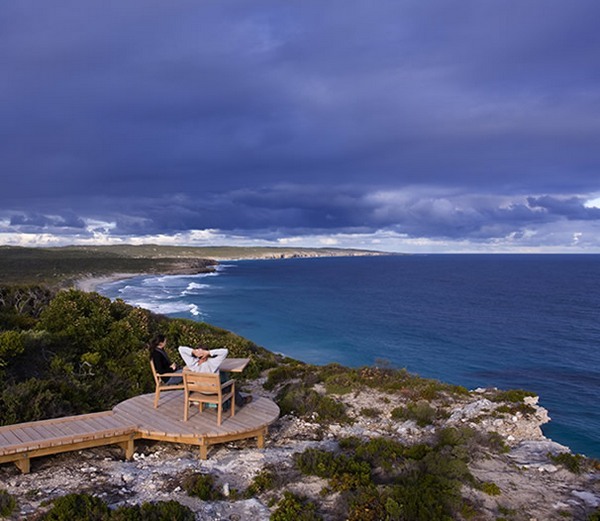 Perched atop a secluded cliff on a rugged stretch of coast, the Southern Ocean Lodge offers a luxurious holiday experience with breathtaking views included. 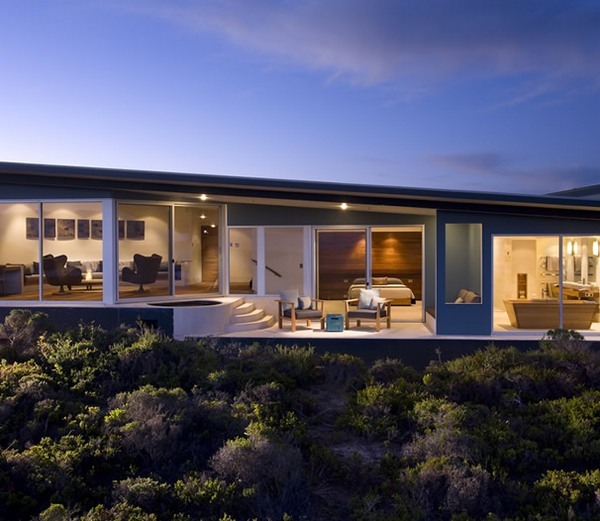 Located on the cliffs at Hanson Bay and flanked by the Flinders Chase and Cape Bouguer / Kelly Hill National Parks, the Lodge’s panoramic design offers guests spectacular, uninterrupted views of the wild Southern Ocean and surrounding wilderness. 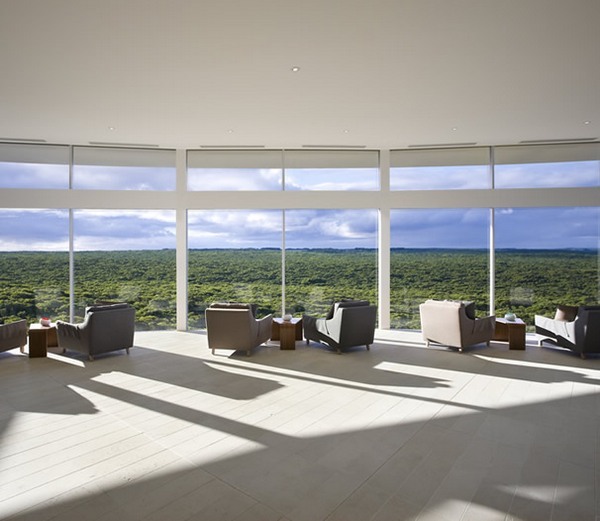 Modern luxe was combined with eco-sensitive design when creating the Lodge. Cantilevered balconies, sandblasted limestone floors, recycled spotted gum walls, sunken lounges and suspended fireplaces provide a fittingly dramatic stage for the breathtaking views. 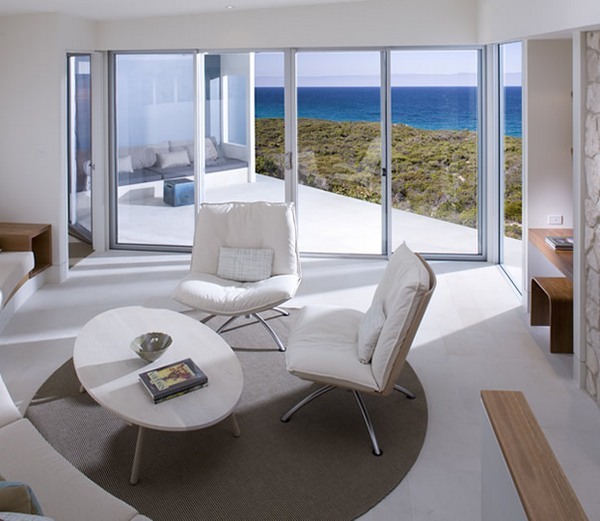 There are twenty-one suites, each with a king bed, glass walled bathroom and outdoor terrace. Your stay at Southern Ocean Lodge includes guided Island excursions to Seal Bay where you’ll meet the sea lions, to Flinders Chase National Park, coastal clifftop walks and more. It’s also worth mentioning that with fresh seafood in abundance on Kangaroo Island and South Australia’s Coonawarra, Barossa Valley, McLaren Vale, Adelaide Hills and Clare Valley wine regions a stone’s throw away, your stay at Southern Ocean Lodge will also be a gourmet delight. Southern Ocean Lodge welcomes children six years and over. The Ocean Family suite accommodates two adults and up to three children. 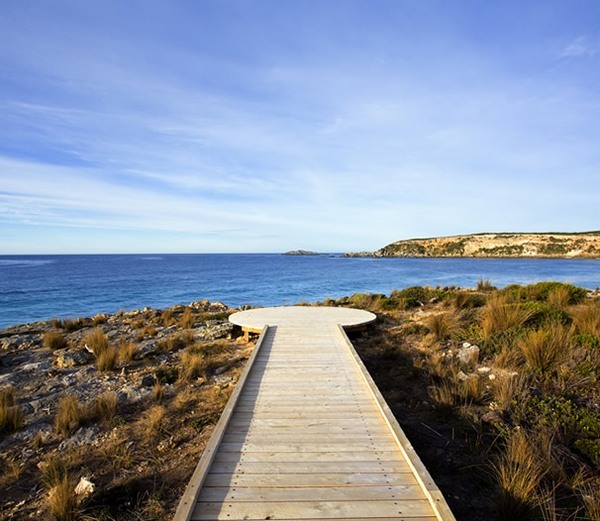 Travel to Kangaroo Island and bookings at the Southern Ocean Lodge can be made through Goldman Holidays.